Happy 4th of July Weekend! That means festival season is right around the corner! 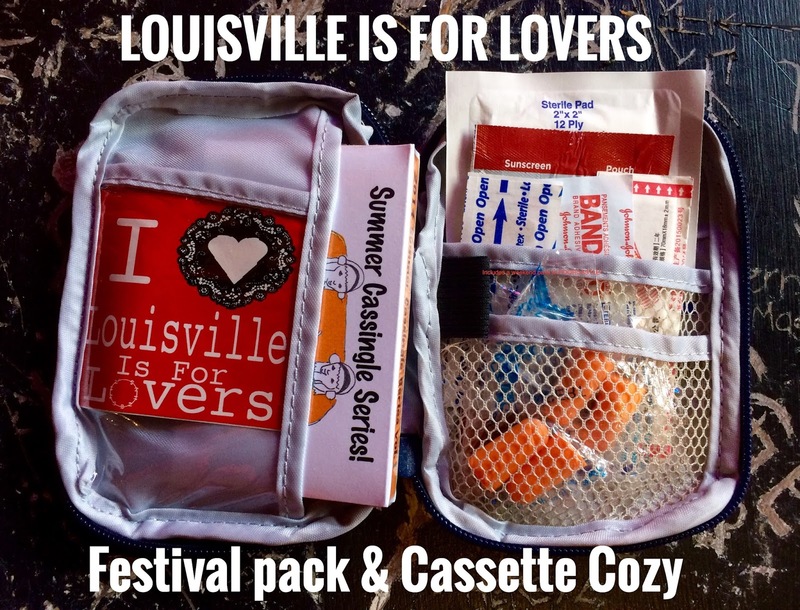 To get you ready for a whole summer of fun, We have put together these pocket-sized Festival Packs, that include everything you need for music festivities including sun screen, ear plugs, first aide gear, stickers, and a Guestroom Records/Louisville is for Lovers Summer Cassingle, all in a fashionable cassette tape cozy! 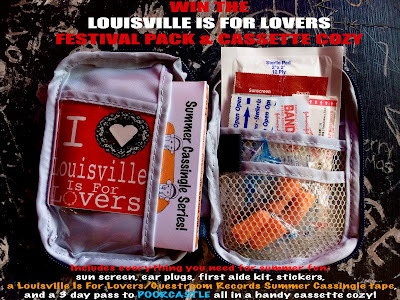 As a little gift we are giving away these Festival Packs to get you ready for summer! 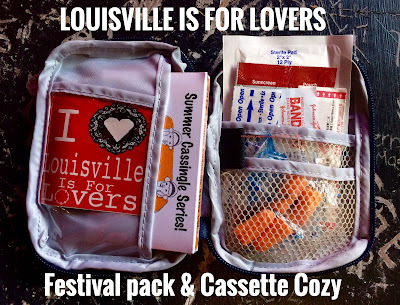 Just pick up any Louisville Is For Lovers release at Guestroom Records over the 4th of July holiday weekend to get one FREE (while supplies last) or you can one one in our online store. 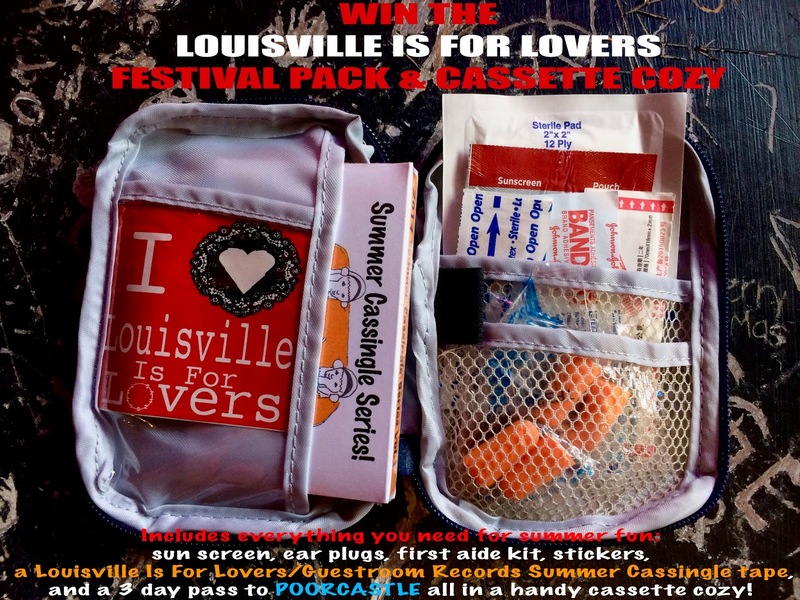 along with a 3 day pass to Poorcastle (July 7-9)!